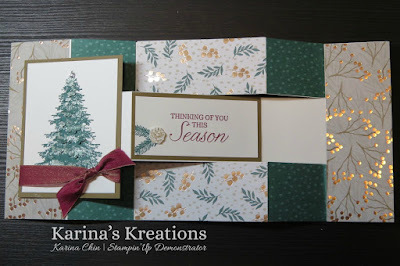 Karina's Kreations: Winter Woods Fancy Fold Card! 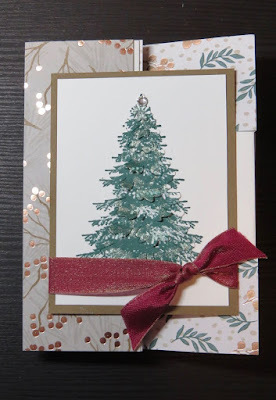 Winter Woods Fancy Fold Card! I love the Winter Woods stamp set and coordinating framelit dies. 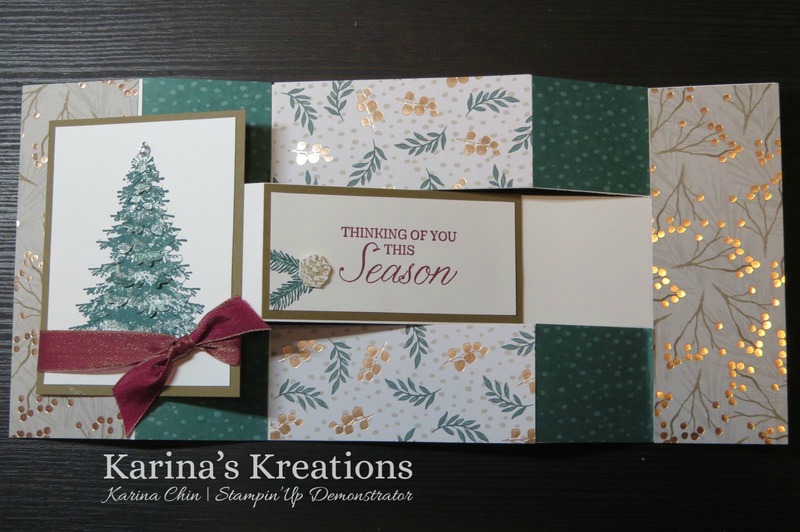 You can easily make beautiful cards with this bundle. The base is 5-1/2" x 12" scored at 2" 4, 8, 10" on the long side and 1-3/4 and 3-3/4" on the short side. Cut the inside score lines from the first and last score line. You need (2) 2" x 5-1/2 Designer Paper, (2) 1-3/4" x 2" Designer Paper, (4) 1-3/4" x 2" Designer Paper, (1) 1-3/4" x 3-3/4" White, (1) 2" x 4" Soft Suede, (1) White 3" x 4" and (1) 3-3/4" x 4-1/4" Soft Suede. Here's the supply list for the card. Click on a picture below to place an online order.